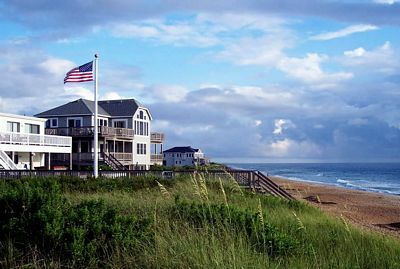 The quiet town of Duck, located in the northern region of the Outer Banks,continues to grow in popularity as a family vacation spot. With seven miles of clean beaches, a miles-long bike path, and a village center with shops and restaurants, Duck regularly makes the Travel Channel's America's Best Beaches list. 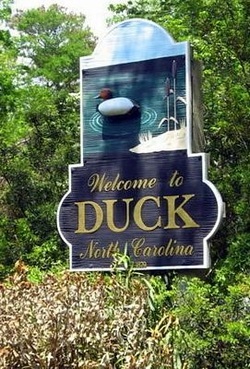 Bordered by the Atlantic Ocean and Currituck Sound, Duck runs north from Southern Shores to the Dare County / Currituck County line. 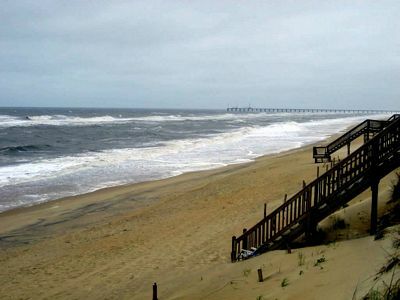 There is no public beach access in Duck, making the wide sandy beaches uncrowded compared to other areas of the Outer Banks. Beach access is only for residents and visitors staying at one of the many rentals in town. Watersports of all kinds are popular in Duck. Locally owned and operated shops include a gourmet market, produce stand, women's boutiques, outdoor clothing and watersports shop, bookstores, toy stores, art galleries, and more, all withing a walking area. Restaurants range from casual to fine dining with some of the top food and wine destinations located here. Miles of wide, private beach.